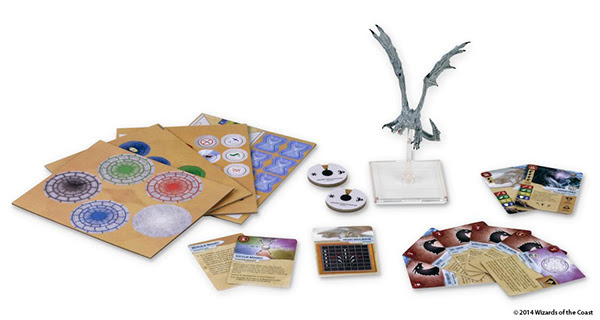 Wizkids‘ latest game D&D Attack Wing sees its organized play program begin! You can find participating retailers on the Wizkids’ event site. D&D Attack Wing is a new miniatures game which features some pre-painted figures for some tabletop gameplay. It features aerial combat that brings the Dungeons & Dragons Forgotten Realms universe to life. For this first D&D Attack Wing OP event, participants will receive special codes to unlock digital items in the free-to-play Neverwinter MMORPG. Players who take part in the first OP event at retail stores will automatically receive a Vanguard Starter Pack, while winners of First Place, Judge and Fellowship will also receive a Fey Wolf Mount.